The 8th annual general meeting (AGM) of the Mega Bank held on Monday has endorsed the proposal of distributing 70 crore45 lakh 58 thousand 570 rupees as dividend and providing 10 crore 30 lakh 94 thousand 875 rupees worth bonus share to its shareholders. The AGM also approved the proposal of inviting strategic foreign partner. 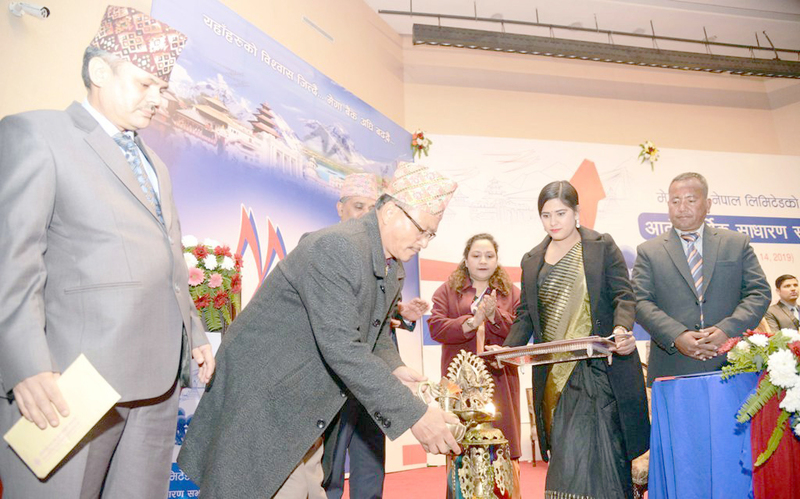 Bank’s chairman Bhojbahadur Shah said that in accordance to the existing law of the nation, foreign partnership will be identified. Shah said that the Bank has developed its structure as per the federal structure. The Bank has also paved the way for merger and acquisition of other banks.